The amount of shrimp I have used here is intended for just my wife and me but my father would normally use this amount for four people since he typically served the cocktail as an appetizer to start a meal with several courses. He also used Heinz Chili Sauce as part of his recipe but I have never done so, as I don’t think it adds a lot to the end result. Also, where he would use Tabasco sauce, I have used a similar product (Frank’s Hot Sauce) that I like better. You can use any equivalent you like but just make sure that it is a basic chili sauce without a lot of other flavoring ingredients. As for the cocktail sauce ingredients, the amounts I have given are approximations. Indeed, I actually had a bit of a hard time deciding on what quantities to specify as I have never ever measured the amounts before. Rather, I have always just added the individual ingredients one by one, testing it as I go along, until the mixture looks and tastes just right. Just use my amounts as a basic guideline and then adjust the various flavorings as you see fit. 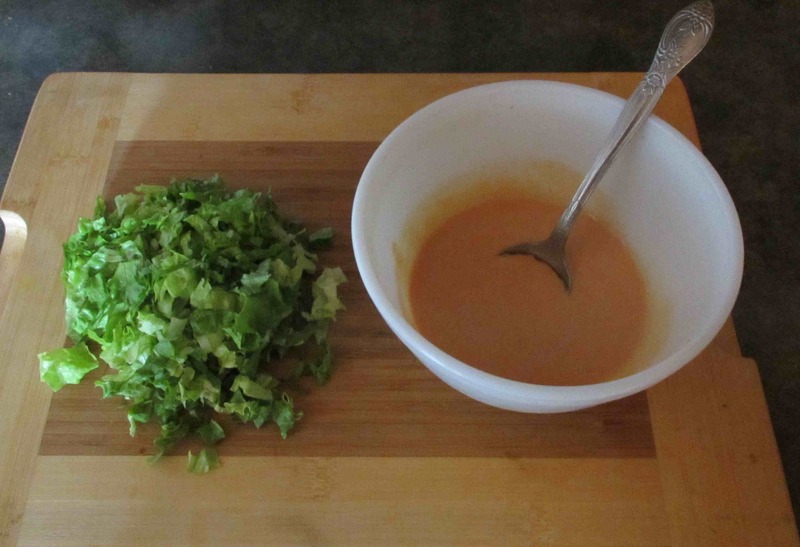 For the hot sauce, I would recommend adding just a half-teaspoon or so at first and then gradually increasing the amount until you reach the degree of heat you prefer. First, shred the lettuce leaves to provide a bed for the shrimp. Next, pour the salad cream into a small bowl. 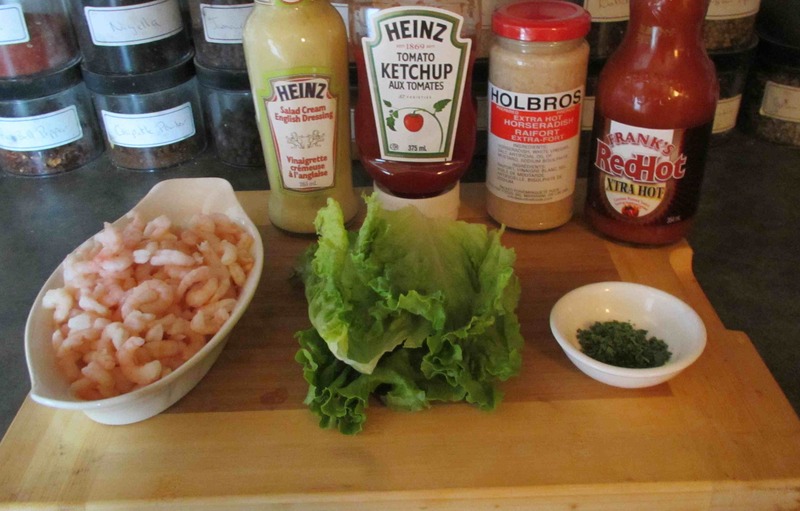 Add the ketchup, then the horseradish, and finally the hot sauce, tasting as you go along and adjusting the various ingredients to suit your taste. Most seafood cocktail sauces use quite a lot of horseradish to achieve their characteristic taste and you can increase the amount I have used if you like. 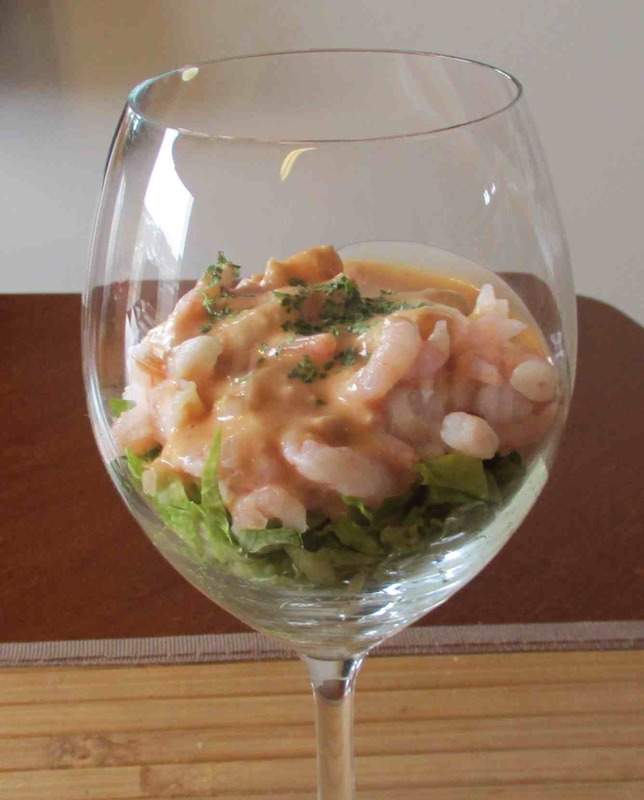 Next, lay a bed of lettuce in appropriate dishes or other receptacles (my father always used wineglasses) and divide the shrimp evenly amongst them, distributing them attractively over the lettuce. Finally spoon over the cocktail sauce, garnish with a little sprinkle of parsley and… Voila, there you have it! All of my BEST recipes are from my folks. Lovely shrimp cocktail. Looks and sounds really good. I imagine it would make a nice sandwich, as well. Sounds like your folks liked to cook and entertain as much as you do! That looks really yummy. I’m not a huge fan of cocktail sauce-type shrimp cocktails but I bet I’d love this. I love these recipes from family! Looks great. Very refreshing, I bet. Good save! I usually have the makings on hand… I especially like the very tiny shrimp for this cocktail. They are really sweet. 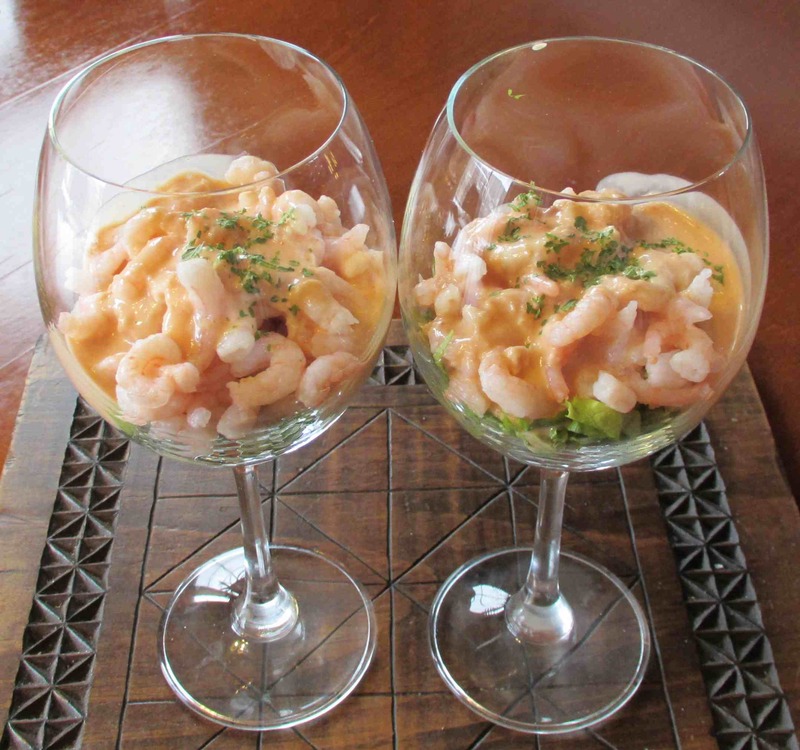 Also, although I forgot to mention it in my post, I often use the ‘liquor’ thrown off by the frozen shrimp to dilute the sauce to the correct consistency… it adds extra flavour!